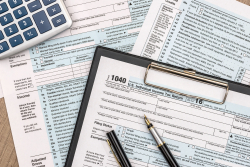 Preparing your tax return on your own may seem like a way to save money but if you don't know what you're doing, it could end up costing you in overpaid taxes or might even incite an IRS audit. Don't take risks with your tax return, trust Abear Accounting Services, LLC for error-free tax preparation in the Richmond, ME area that's fast and affordable. Our CPA firm employs powerful tax strategies to help clients minimize state and federal taxes and hold on to more of their hard-earned money. From income tax preparation for individuals to complex corporate taxes for businesses, you'll like working with us because we make filing taxes easy. Just send us your paperwork, receipts, and prior tax returns and we'll take care of everything. Call 207-737-4456 or request a free consultation online.